Spinning originals, remixes, covers, and close relatives of your favorite Motown songs & productions. What began in 2009 as a humble Monday night soul party in San Francisco (Motown On Mondays) has since exploded into a weekly multi-city dance party across the United States. MOM DJs is a family of DJs, producers, musicians and music enthusiasts that all share a passion for the convergence of soul music and dancing. The entire collective performs at and produces weekly, monthly, and special events across North America, currently holding chapters in 17 different cities (San Francisco, Honolulu, Los Angeles, Oakland, San Jose, Sacramento, Phoenix, Seattle, Portland, Denver, St Louis, Chicago, Minneapolis, Philadelphia, Washington DC, NYC, & San Diego). The Los Angeles Chapter of MOM was created in 2011 and has been running for over 5 years strong at The Short Stop in Echo Park. MOM LA has hosted a long list of some of the best DJs in the business, from local to worldwide favorites, including Questlove, Peanut Butter Wolf, Stro Elliot, Cut Chemist, Z-Trip, DJ Spinna, Danny Krivit, Rich Medina, J.Rocc, The Reflex, Mayer Hawthorne, and Jeremy Sole to name a few. MOM LA has also received write-ups and reviews from LA Weekly, Timeout LA, Flavor Pill, Urb magazine and more. Their team of resident DJs includes: DJ Expo, DJ Jedi, Phatrick, Monalisa, Sloe Poke, and C-Minus. Each week, along with special guests, they gather under the disco ball to bring you the most classic soul tunes, forgotten gems, remixes and related off-shoots/inspirations from the Motown catalog, attracting a funky and diverse mixture of party goers, dancers, DJs, and music lovers! 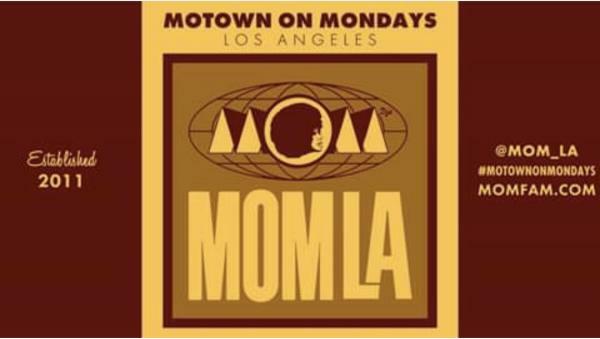 Once a best-kept secret in LA, Motown On Mondays has become a staple in the city of Los Angeles!